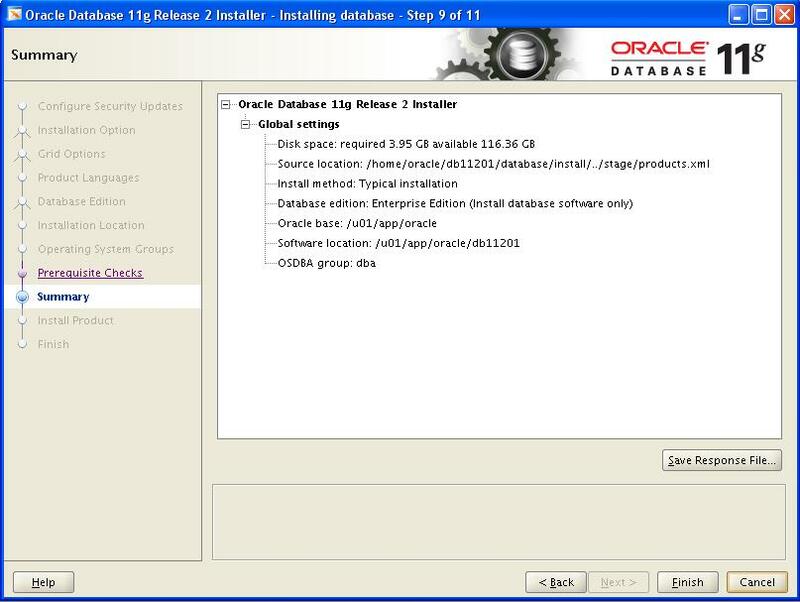 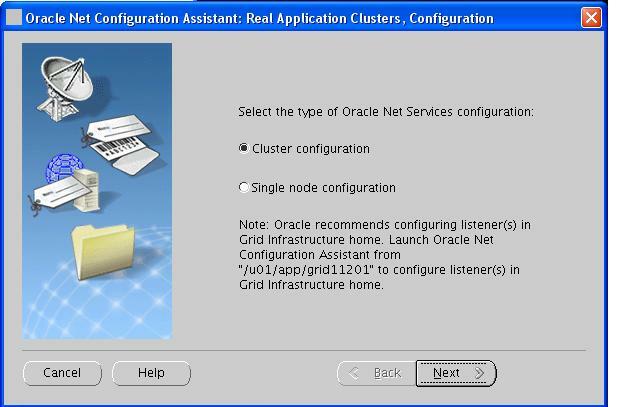 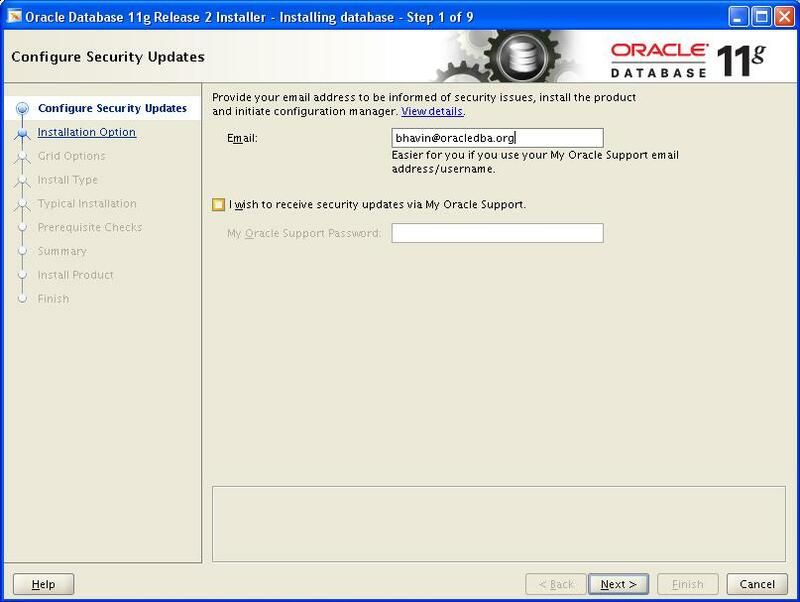 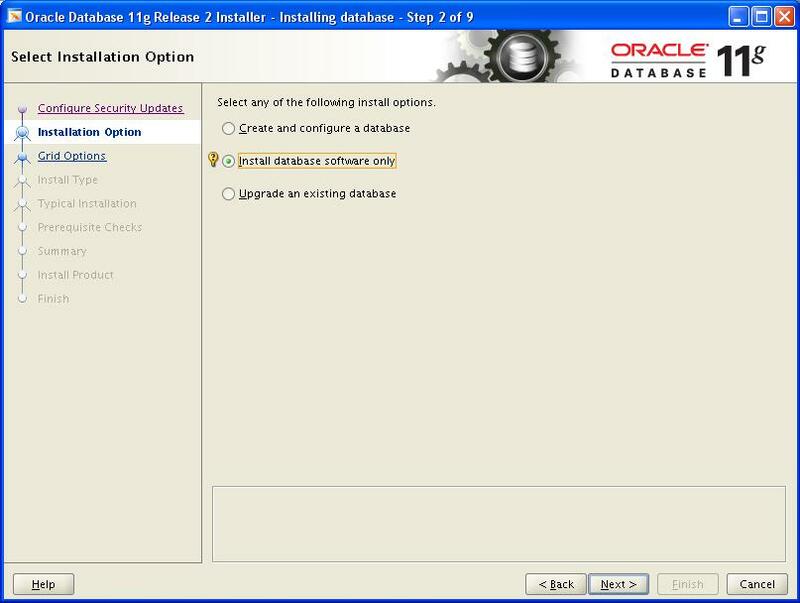 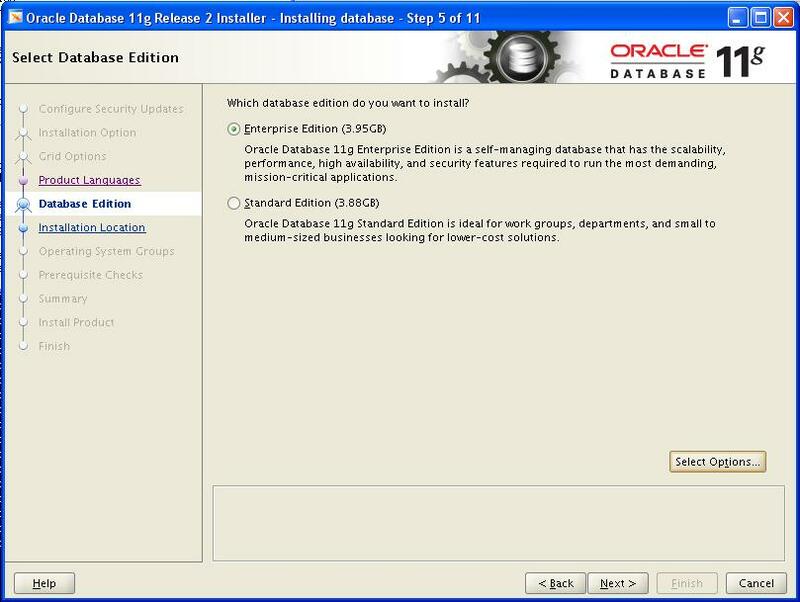 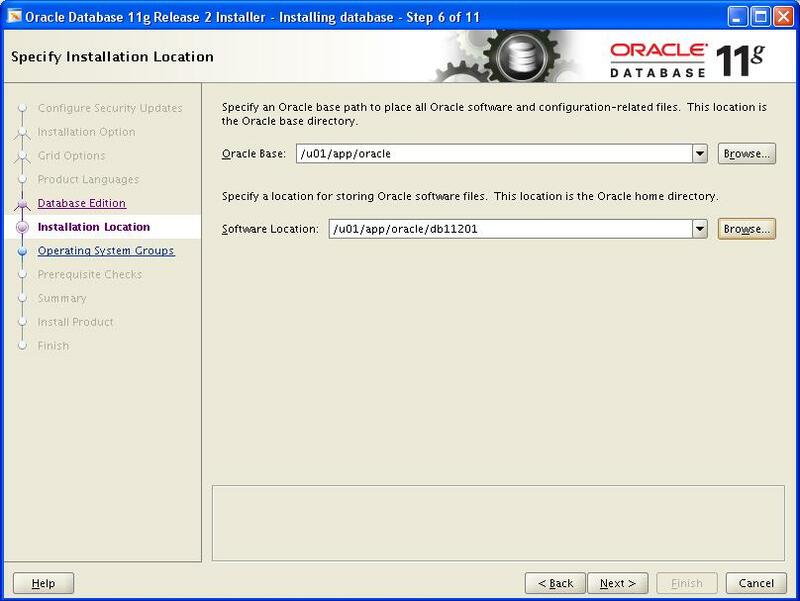 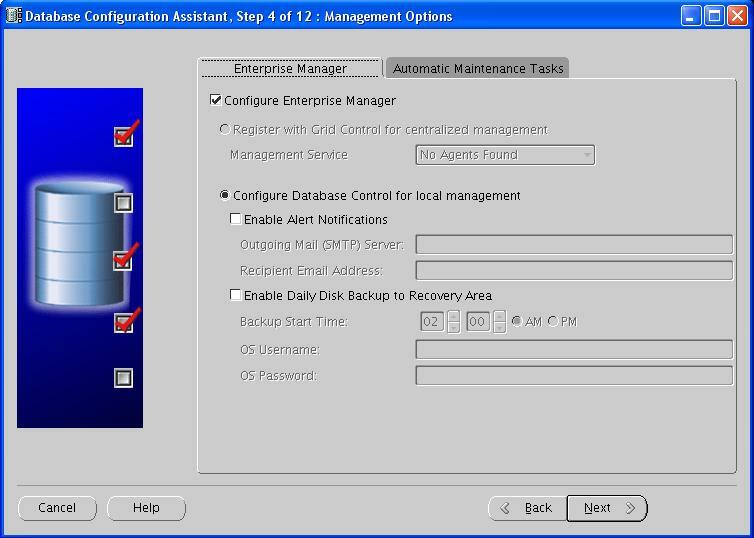 Step By Step: Install Oracle 11g R2 Real Application Cluster (11.2.0.1) on Oracle Enterprise Linux 5.5 (32 bit) Platform. 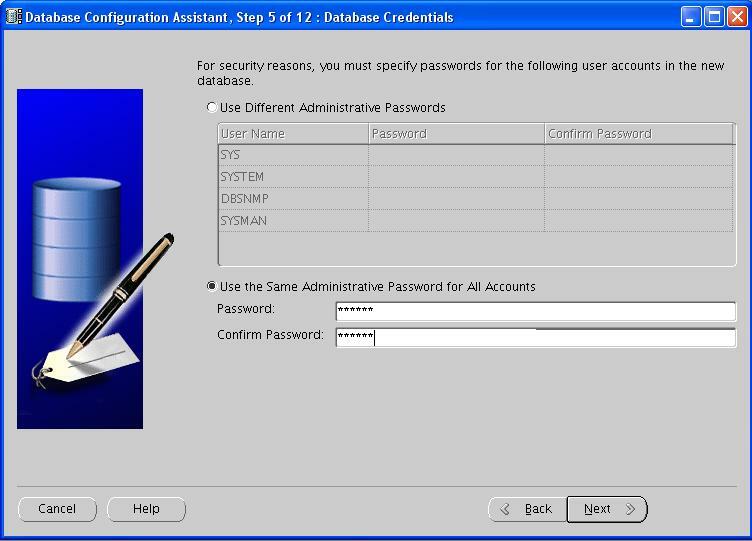 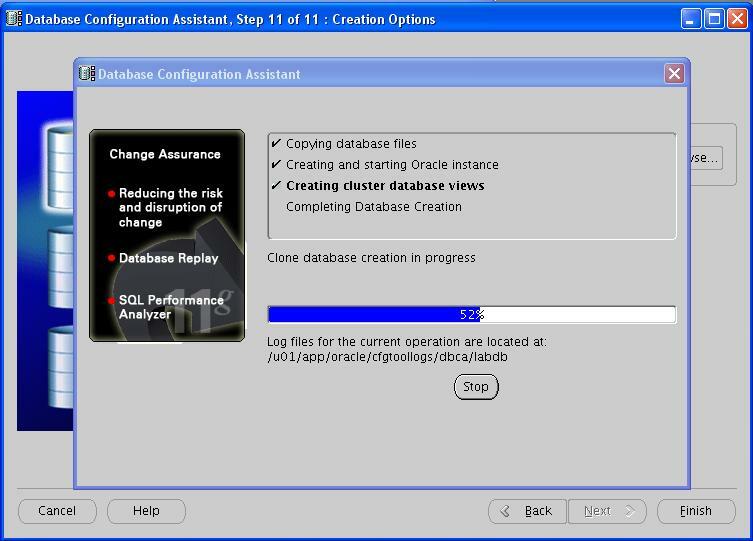 After the successful installation of 11g R2 Grid Infrastructure Software, it’s time to install 11g R2 RAC software (database). 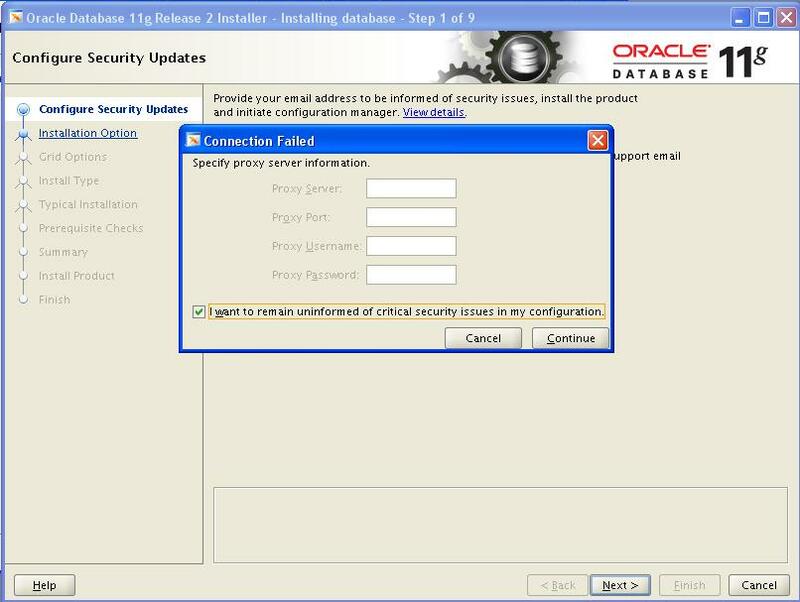 Ignore the “Connection Failed” alert. 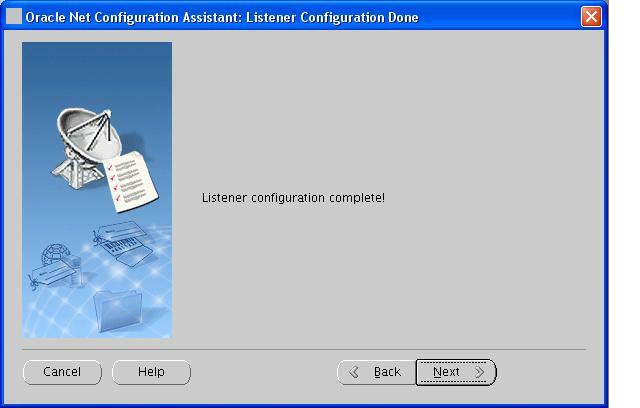 OUI picked up all the interfaces correctly. 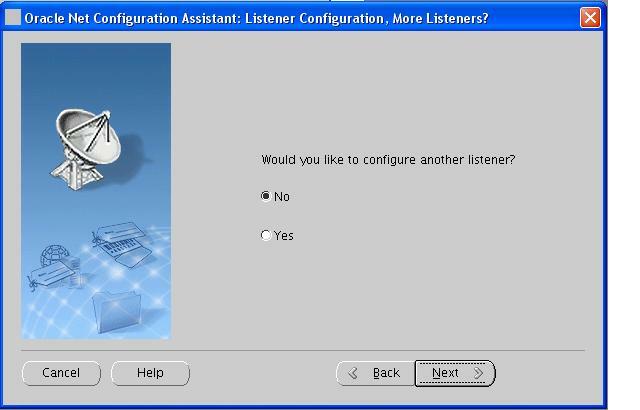 I did not have to make any changes here. 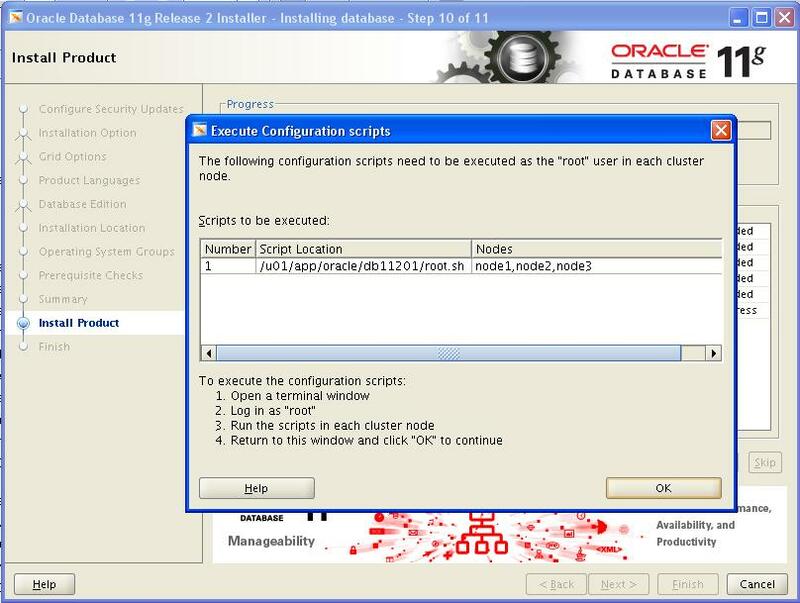 At the End of the installation, the two scripts needs to be executed on all the nodes as root user. 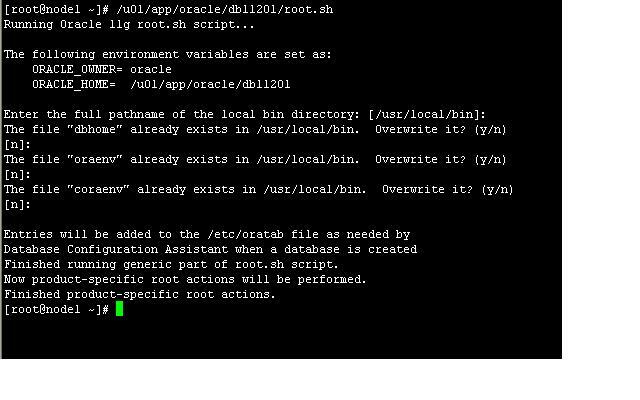 Run the root.sh on all the RAC nodes. 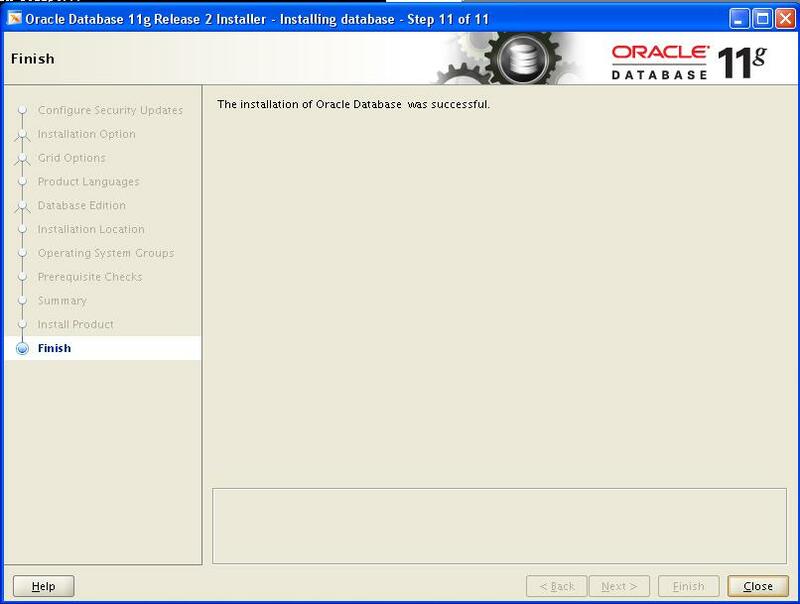 At this point, the 11g R2 (11.2.0.1) Real Application cluster Installation is completed successfully. 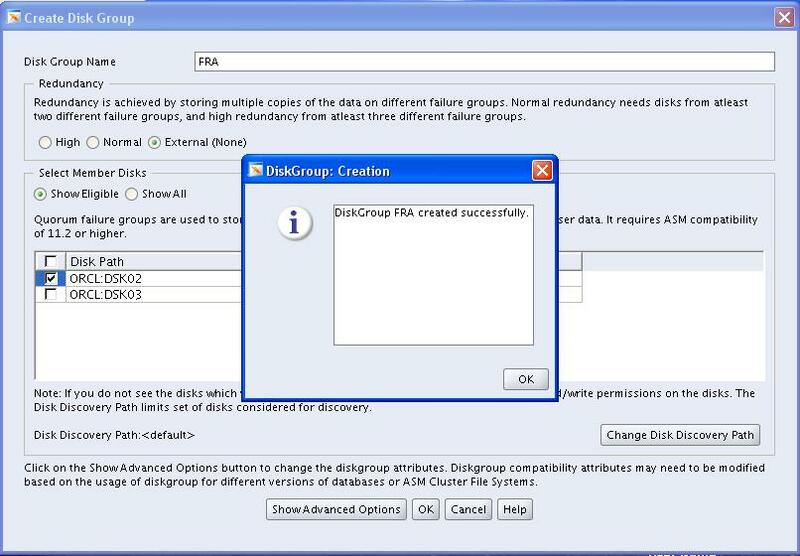 Now, it’s time to create new ASM disk groups and LISTENER for the new database. 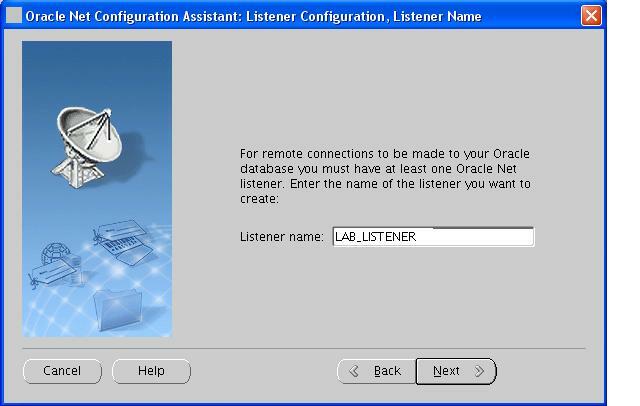 Invoke the netca utility under $ORACLE_HOME/bin to create a listener and provide the above information to the specific window. 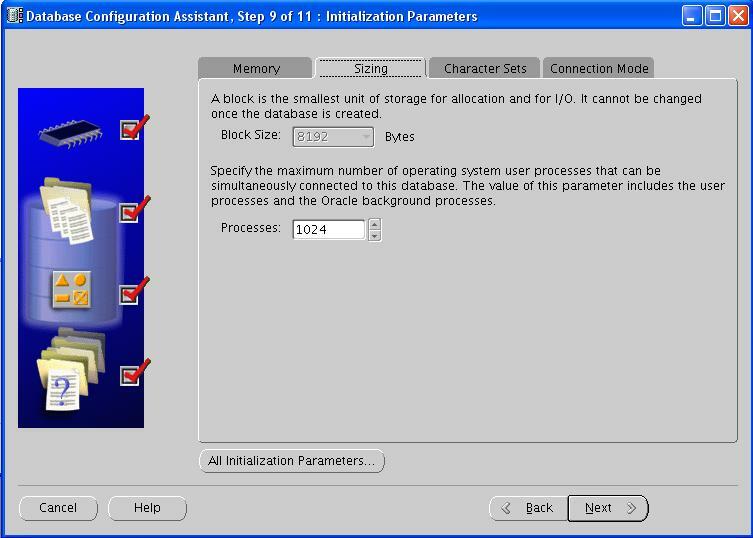 The screenshots of this process are as below. 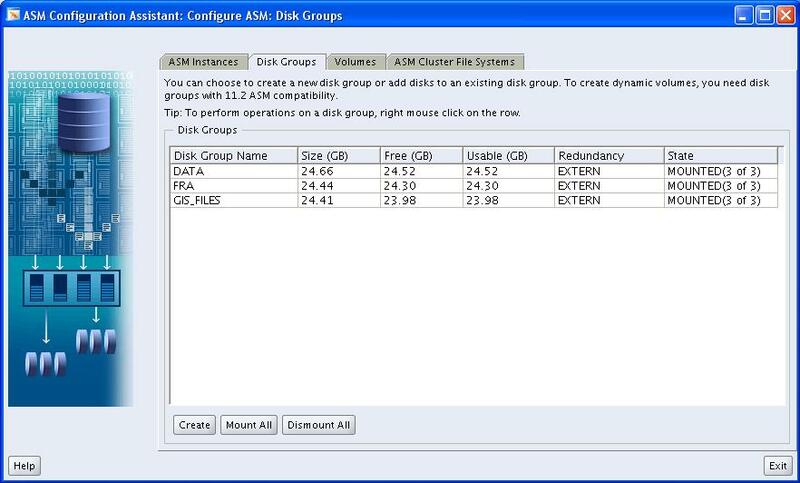 ASM DISKs: DSK02, DSK03 respectively. 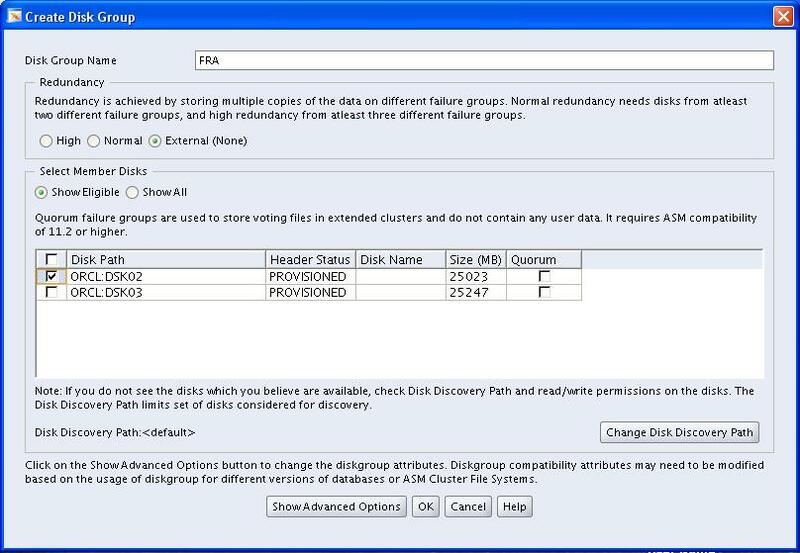 Connect as grid user and Invoke the asmca utility under $GRID_HOME/bin to create these disk groups. 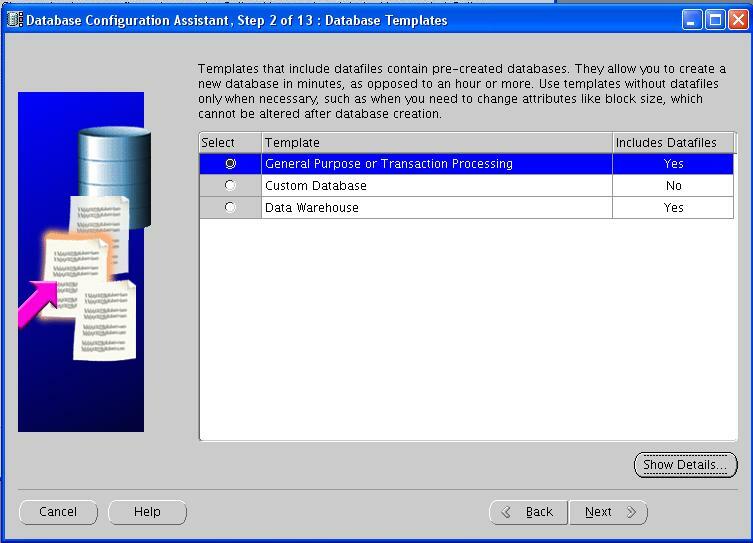 The screenshots of this process are as below. 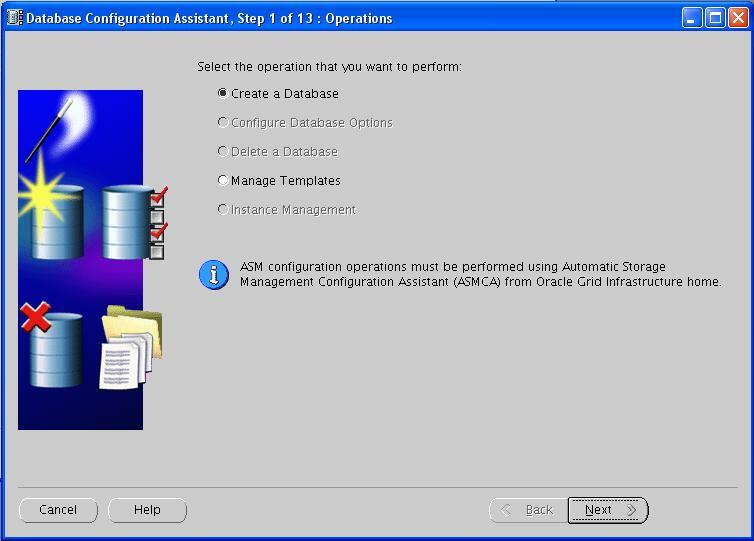 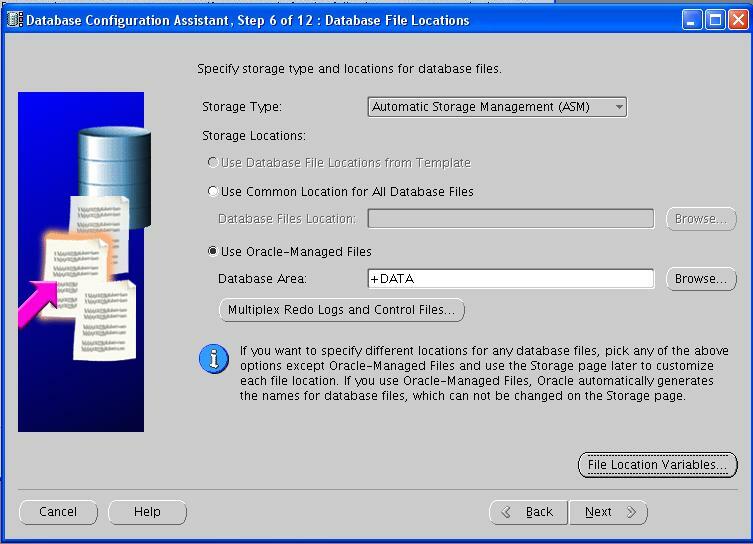 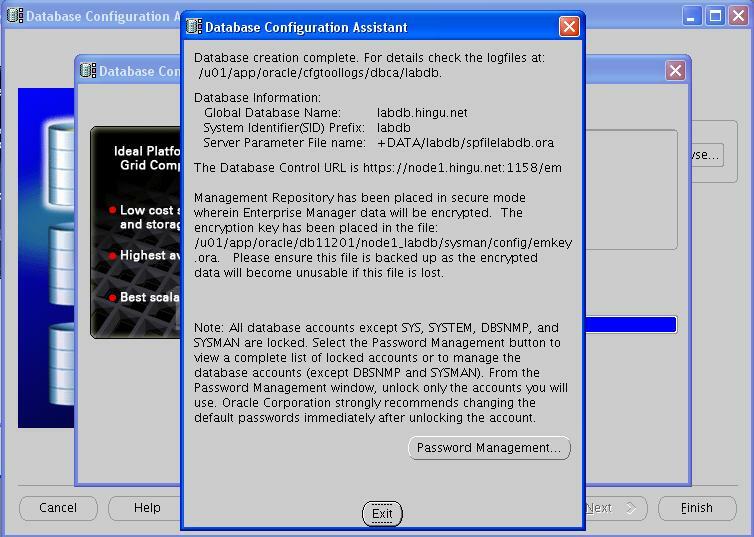 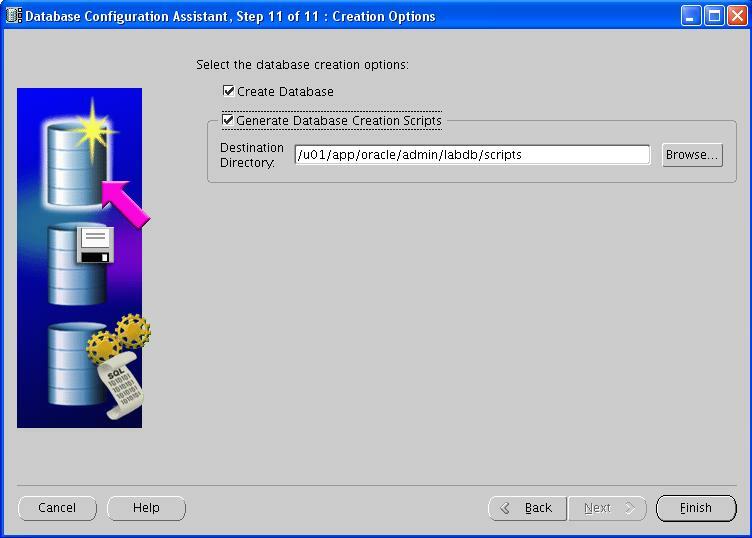 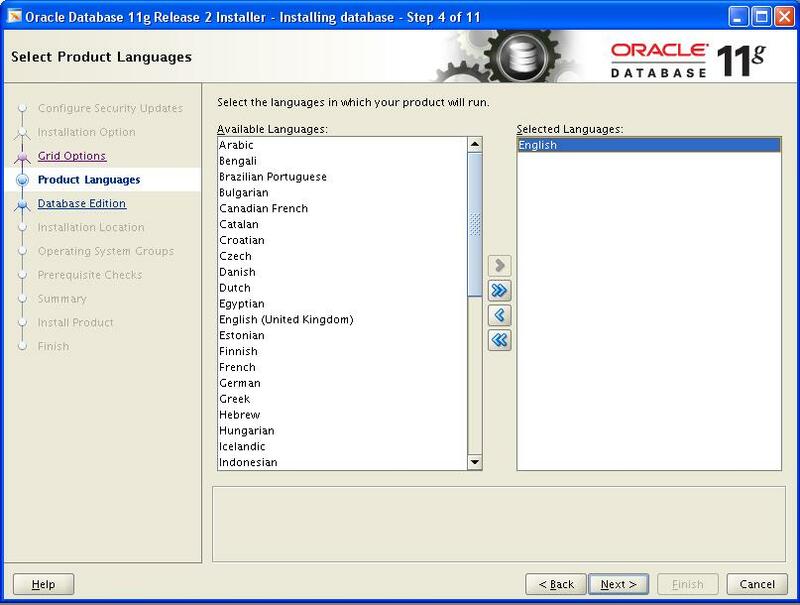 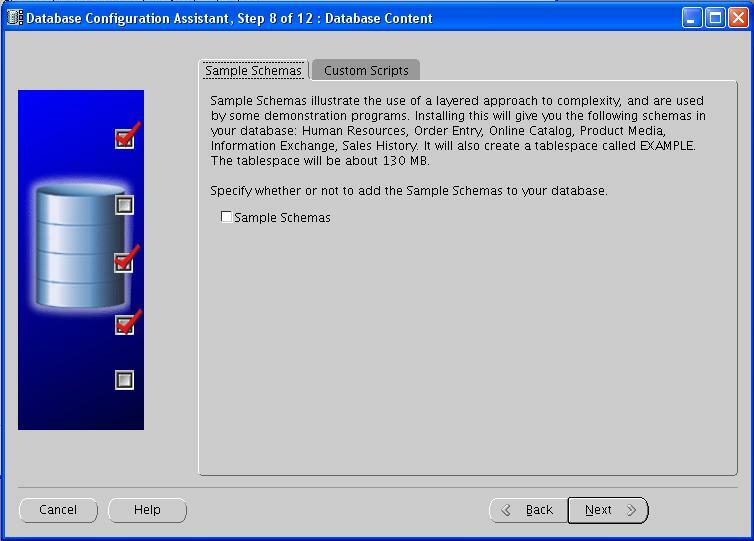 Connect as oracle user and invoke the dbca utility under $ORACLE_HOME/bin to create a new database. After the successful creation of database, modify the LOCAL_LISTENER parameter to point to port 1525 for all the RAC nodes and test the connectivity to the database. 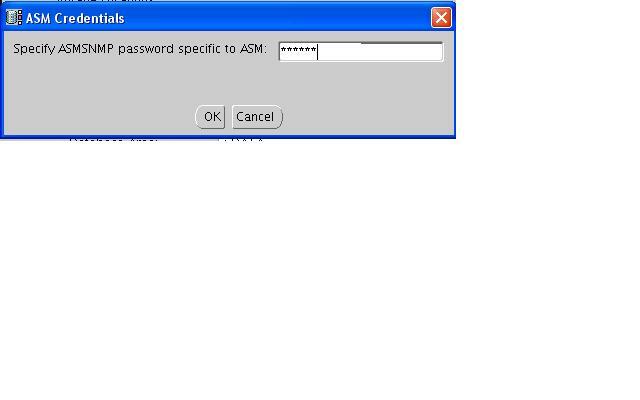 The HOST and port value in the TNS ALIAS (connect string) should be set to lab-scan.hingu.net and 1521 respectively. 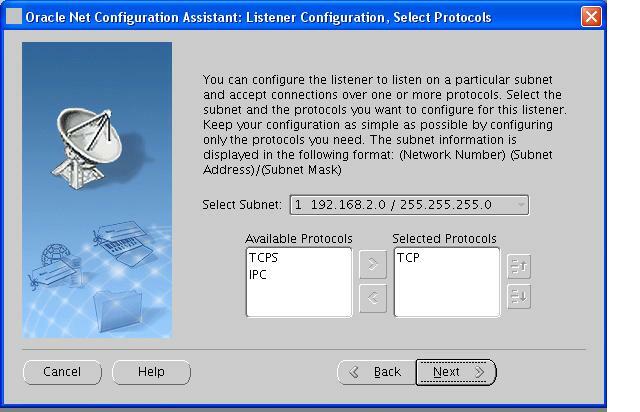 This way, all client knows is the cluster host and port (lab-scan.hingu.net:1521). 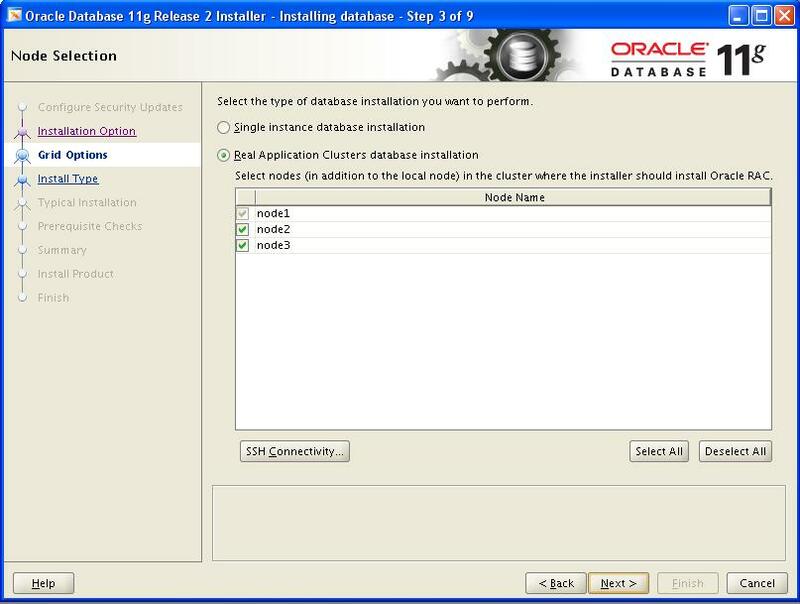 The DATABASE instances gets registered with the SCAN Listener (1521) running on virtual Host via REMOTE_LISTENER parameter and client connect request coming to SCAN listener gets redirected to the least loaded DATABASE instance based on the service name specified in connect string. 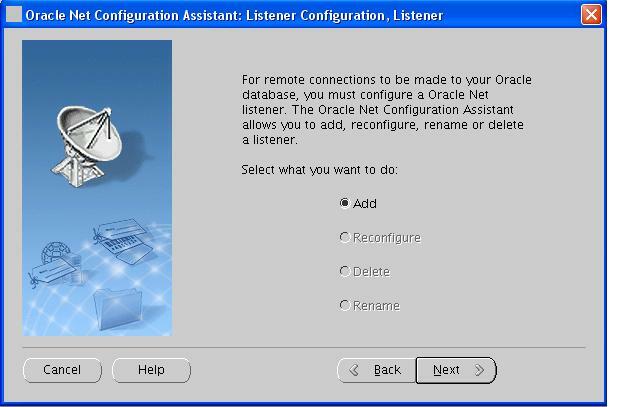 So, the Database instance gets registered with the LOCAL_LISTENER (regular Database Listener) and REMOTE_LISTENER (scan). 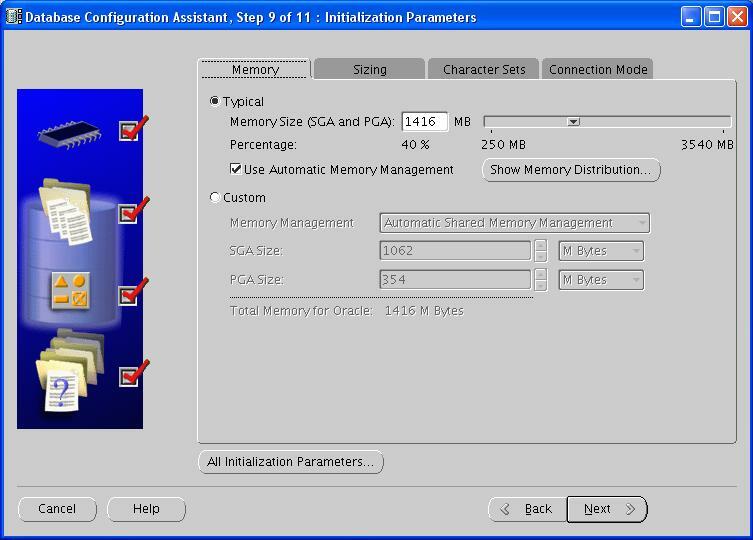 The screenshots of this process are as below. 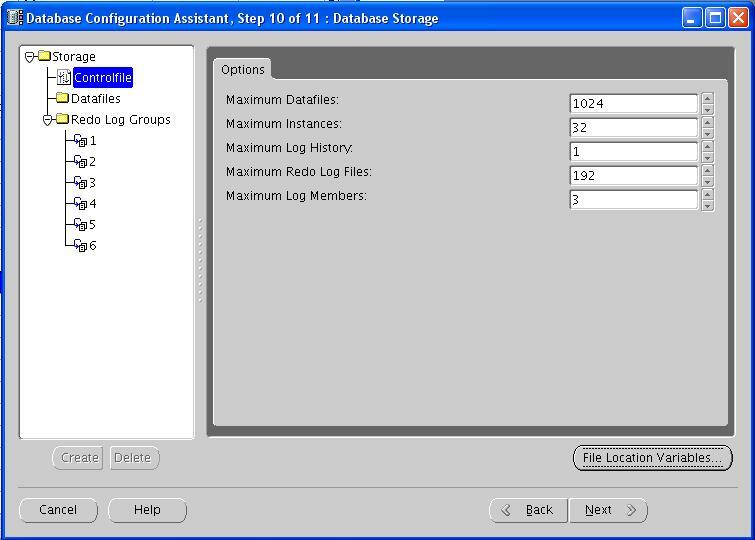 Service "labdb.hingu.net" has 3 instance(s). 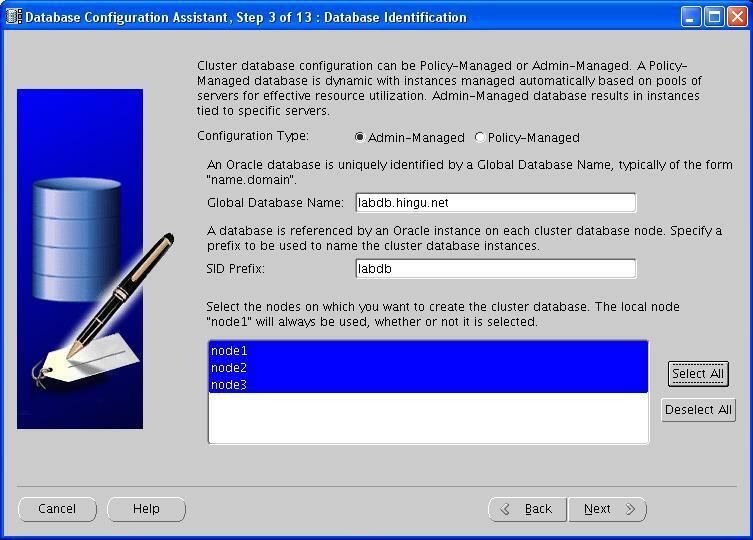 Service "labdbXDB.hingu.net" has 3 instance(s). 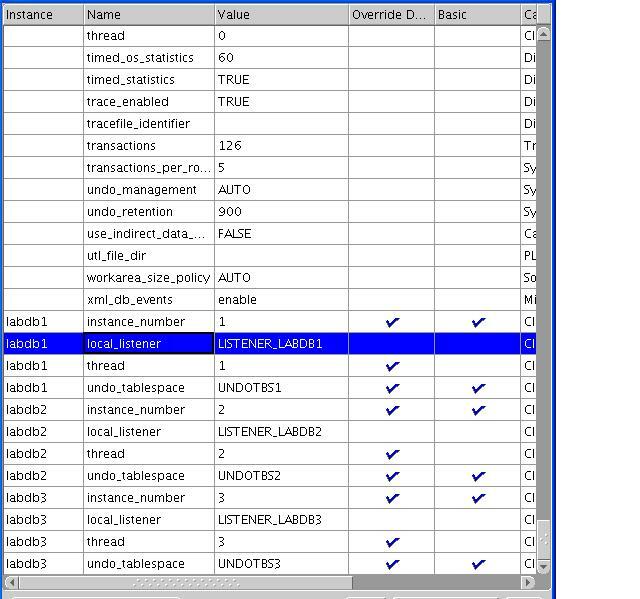 Service "labdb.hingu.net" has 1 instance(s). 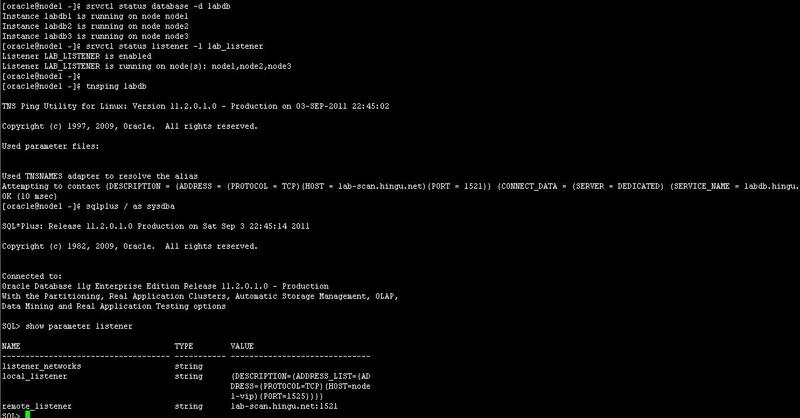 Service "labdbXDB.hingu.net" has 1 instance(s). 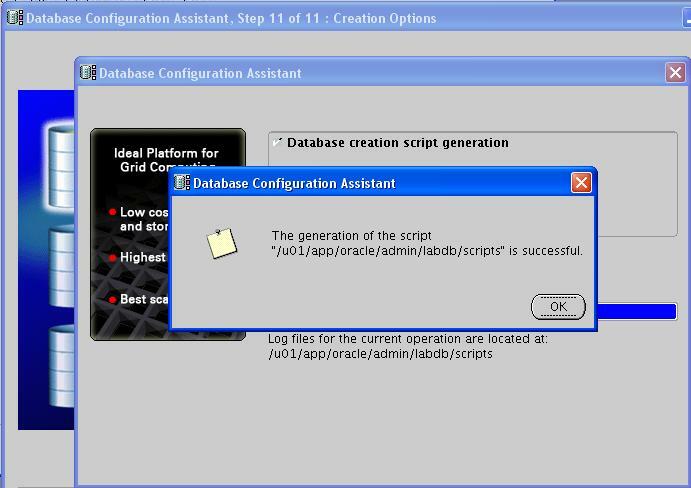 With this, the Installation of 11g R2 RAC on Linux (OEL 5.5) is completed successfully. 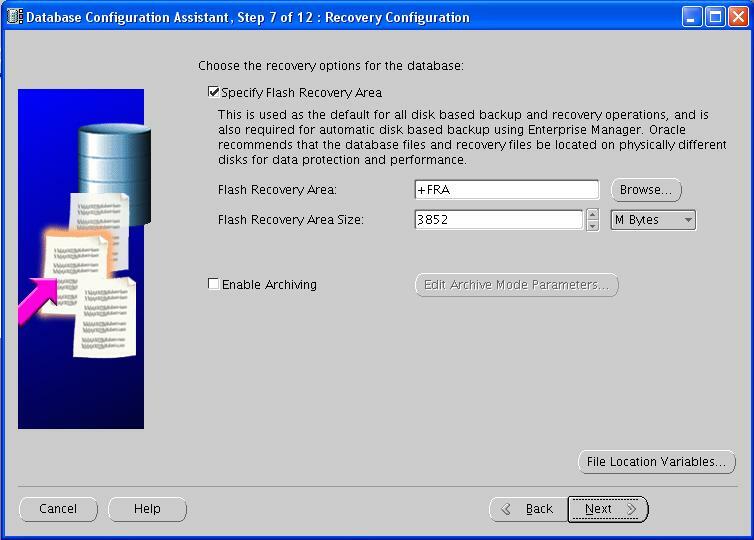 I hope you find this article helpful.